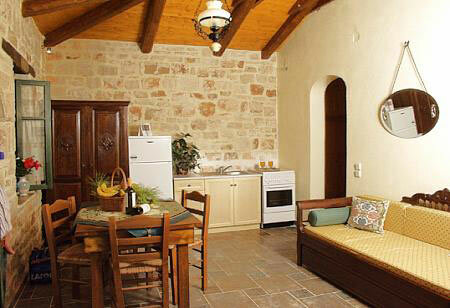 \"Porta del mar\" Traditional Stone Luxury Villas welcomes you to our \'little paradise\'. 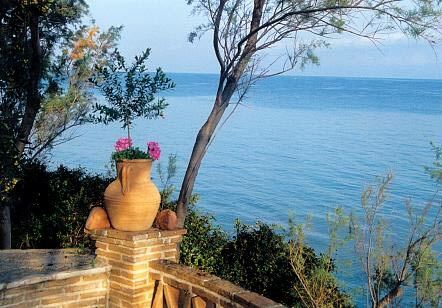 Beautifully constructed traditional stone houses run by the family of Tassos, Pavlina and their two children, Kostas & Elina, set in the most picturesque of places along the coast : the Aboula-Psarou Beach. Get away from the hustle and bustle of your daily life and soak up the culture and surroundings of an unspoilt Greek holiday. Our little village is divided into eight traditional stone houses, four of which have two storeys and four single storey buildings, all forming a hourse shoe design facing towards the sea. 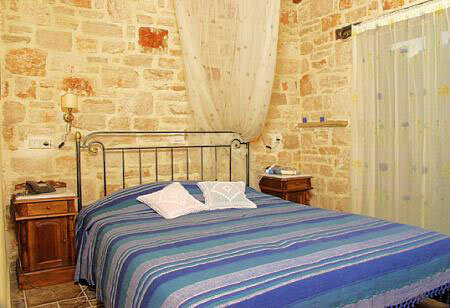 The houses are of various sizes and can accommodate from 2-6 persons. 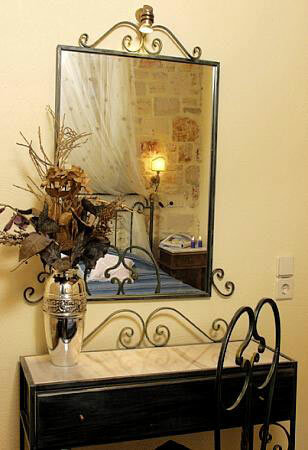 All are superbly furnished and tastefully decorated in keeping with the traditional style. Spacious living rooms, large comfortable bedrooms with double or single beds. The attention to detail is fantastic and many extras including all windows having mosquito nets to avoid flying visitors around you. During the construction of these houses no attention to detail has been spared and the use of wood and stone has been delightfully blended to give you a comfortable stylish place to stay. The interior is detailed using iron hand made beds and traditional style furniture with unique light fittings to give a homely feel. Our own private bar located in the beautiful landscaped gardens, offering refreshments and light snacks throughout the day. Relax by the coast under our shaded pergola with magnificent sea views. On the front part of the property, just above the sea front is a lovely tranquil spacious area surrounded by well kept garden, which is ideal for entertaining or enjoying the read of your favorite novel. An indoor TV lounge with Fax, Internet services, and games is available for those cooler evenings. Private parking area, exterior BBQ and showers are available. Access to the beach is via our own private stone steps. Fully equipped kitchens with cooker, fridge/freezer wooden table that seats 4-6 and utensils. Bathrooms with bath and shower. 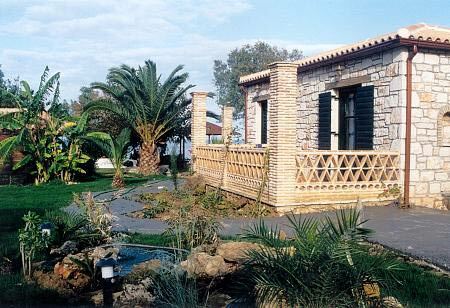 Large balconies and verandas all offering panoramic sea views. Bedsheets change twice a week. Bathtowel change three times per week.